← What’s going to happen to my daughter? Good news! The eBook edition is now out-there! The eBook edition is available in all the major eBook formats; ePub, Kindle, Adobe PDF etc. So far I have tested a production version of the eBook on Amazon’s New Kindle and the kindle apps for the iPhone/iPad and the PC. Overall I am very happy with it. The layout changes and sequence still work in this format. 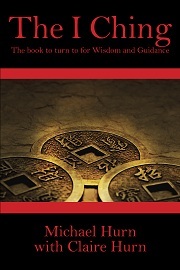 Go to the table of contents then select the hexagram index. Once you get that far, the method is the same as if you were using the paper copy. Please see the ‘About’ and ‘How to’ tabs for details. ISBN: 978-1-60911-917-1 for the printed version.